Letting go is never easy, but here's a way to hold onto your horse forever! All horses leave hoofprints on our hearts. Saying goodbye to your favorite horse can be one of the hardest things your ever have to do! Find a way to remember them so that you can cherish your memories together forever. It may take some time for your heart to heal, but eventually you will be able to look back and enjoy all of the good moments you had with your equine partner. Here’s a few ways to honor your best friend! PC: Tail Spin Bracelets, Dancing Fire Pottery, YouTube, & Pinterest. 1) Horse Hair Bracelet: Wearing a piece of jewelry constructed from your horse’s hair is a great way to always have a piece of them with you. Not only are they symbolic, but they are stylish too. Check out Tail Spin Bracelets. They start at $75. Other options are available including key chains, necklaces, and earrings. 2) Horse Hair Pottery: A unique piece of pottery can be constructed with your horse’s hair. These custom pieces are great to set on a shelf or even wear! Dancing Fire Pottery makes vases, necklaces, and earrings. Prices begin at $30. 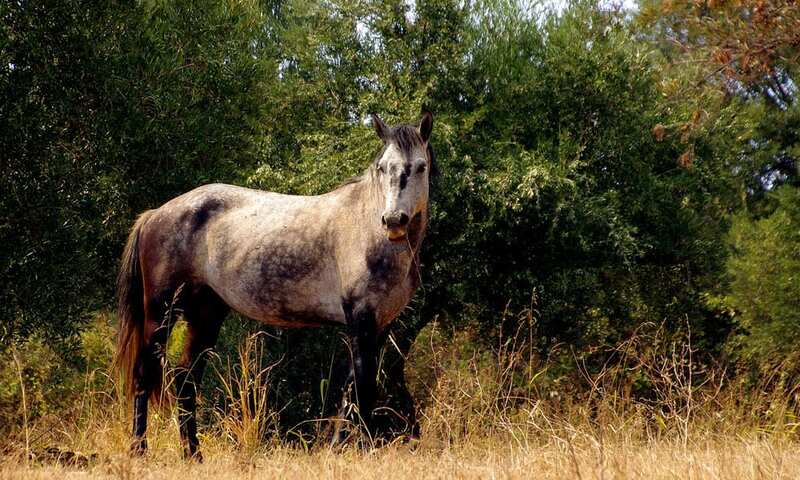 3) Custom Painting: Many artists allow horse owners to send in a picture of their horse. They will construct a realistic painting to match the picture. What a wonderful way to hold onto the memory of a horse. 4) Shadow Box: Get creative and make your very own remembrance item. 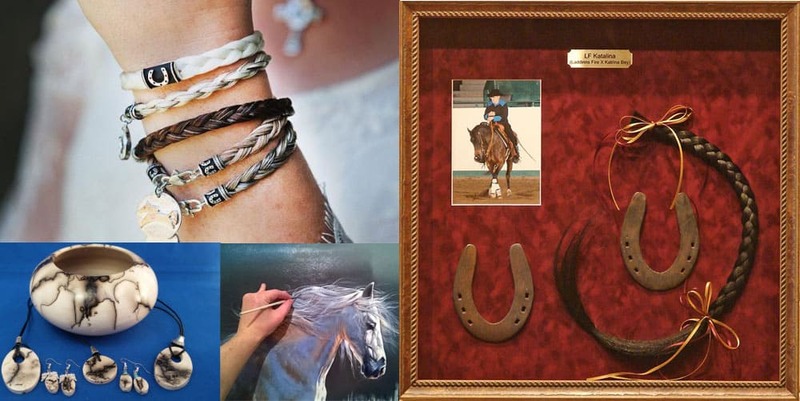 Collect hair, pictures, name plates, ribbons, and anything else that symbolizes your horse and arrange it in a shadow box. The perfect token to hang in your bedroom, living room, or at the barn. 5) Sponsor a Horse Show Class: If you were very competitive together, naming a show after your horse may be the perfect way to remember the good times you had. Memorial classes support your discipline and help your horse’s legend live on.